This holiday guide with maps of Crete is about the region of Sfakia and the village of Chora Sfakion in the southwest of the island of Crete, and Crete in general. 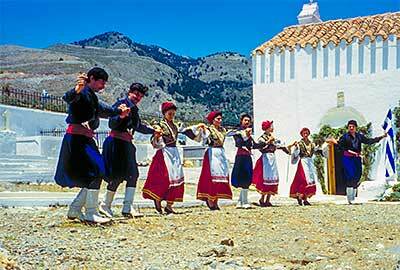 Sfakia is part of Chania province, and for Crete is quite unique as an area that is still untouched by mass tourism. It mainly consists of the "White Mountains" up to 2453 metres high, fertile plains, and small villages along the coast and in the mountains in traditional Cretan style. 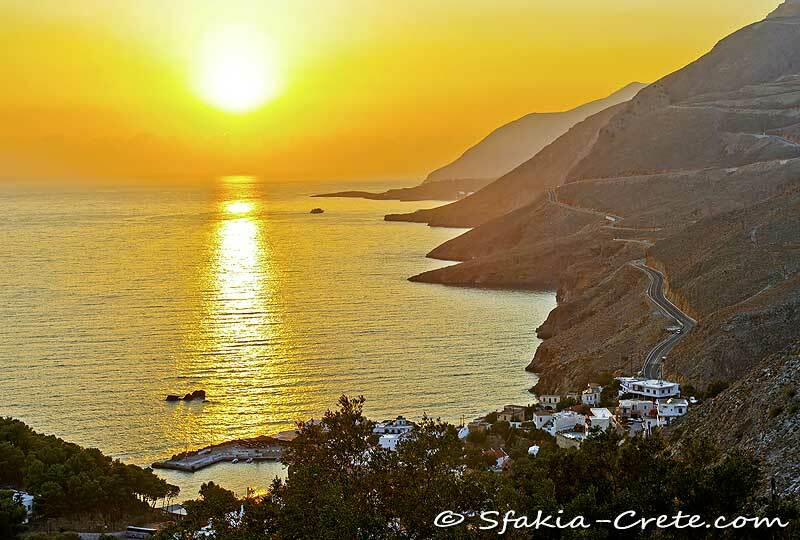 Its small capital Chora Sfakion, also called Sfakia, has 400 inhabitants, and offers a small new harbour where the ferries to other villages, and to Samaria gorge, dock. Many villagers live as shepherd, or fisherman, or they grow olives. 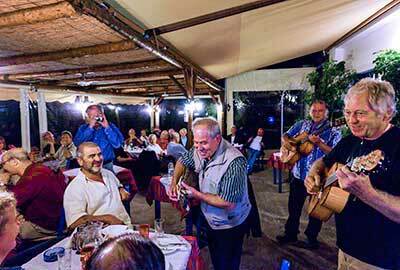 Sfakia offers several family run small hotels and studios and sea front tavernas, and shops. The Sfakia region has about 2500 inhabitants, and is famous for its history of resistance against invaders, impressive nature, very hospitable people, splendid weather, quiet beaches with crystal clear sea water, good food and wine, and its marvellous opportunities to walk along the coast, hike in the mountains, and go through several of the gorges that cross the mountains. The famous Samaria gorge lies in Sfakia. The area is quiet, being without an ongoing coastal road. Transport here is by ferry boats. 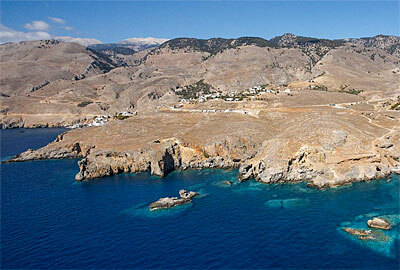 Sfakia, in the southwest of Crete, is Europe's southernmost point.